I receive many requests on various tape recorders related matters, for phono stages and kits. Only alignment cassette tapes are still available from A.N.T. Audio, the other projects are on hold for the foreseeable future. It was recorded using just two microphones with a FET preamp, and the modified by A.N.T. 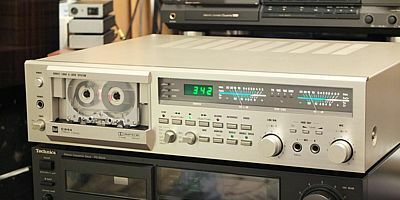 Audio Tascam 122mkIII-M9 3.75 IPS mastering cassette deck. The file is 24bit 96kHz FLAC, 67Mb in size. Tables with measurements of various heads for cassette decks updated! As the Kora 3T Special Edition phono stages are no longer in production I've uploaded a short history of its development, including full circuit diagrams for both MM SE and MC SE versions in the Philosophy section.